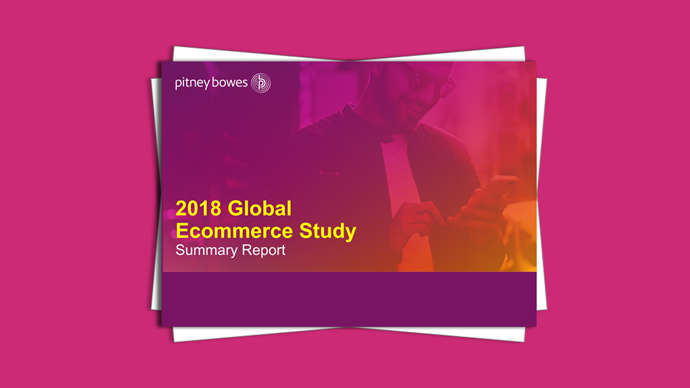 The 2018 Pitney Bowes Global Ecommerce Study is based on surveys of more than 13,000 consumers in 12 markets, combined with surveys of more than 650 retailers in the US, UK and Australia. The results of the report are intended to help guide retailers and marketplaces in their investment decisions and go-to-market strategies. Pitney Bowes (NYSE:PBI) is a global technology company providing commerce solutions that power billions of transactions. Clients around the world, including 90 percent of the Fortune 500, rely on the accuracy and precision delivered by Pitney Bowes solutions, analytics, and APIs in the areas of ecommerce fulfillment, shipping and returns; cross-border ecommerce; presort services; office mailing and shipping; location data; and software. For nearly 100 years Pitney Bowes has been innovating and delivering technologies that remove the complexity of getting commerce transactions precisely right. For additional information visit Pitney Bowes, the Craftsmen of Commerce, at www.pitneybowes.com/ecommerce. Pitney Bowes are proud sponsors of the World Mail & Express Americas Conference (WMX Americas) 2019. You will be able to meet Pitney Bowes WMX Americas at the Miami Marriott Biscayne Bay on the 10 – 12 February 2019. Visit the conference website for more information.